James Edwin Orr was born January 15, 1912, in Belfast, Ireland, to William Stewart and Rose (Wright) Orr. William Orr, who was a jeweler, had United States and British citizenship, so his children did as well. There were eventually to be five children born to William and Rose Orr, with one child dying in infancy (Louise at 3 years of age) and another as a young man (Alan at 25 years of age). The day January 15 would become even more meaningful than simply a birthday in the life of J. Edwin Orr; on that day he was born, converted, married, ordained, and became a chaplain in the U.S. Air Force. At the age of nine, J. Edwin Orr became a Christian through his mother’s influence but his faith was not very active as yet. In 1922, his father and baby sister died and the family began to suffer from difficult economic circumstances. Orr enrolled in the College of Technology, Belfast, and eventually passed University of London Matriculation exams in five subjects. But the illness and then death of older brother Alan made him the family breadwinner. He worked as a clerk in a bakery for the next few years. Orr and a friend began to feel a strong call to evangelize in 1930 or 1931 and began to hold open air meetings in the streets of Belfast. In 1932, he was involved with a city-wide evangelistic effort organized by Christian Endeavor. This increased his desire to preach and lead people to Christ. By late 1933 he felt God wanted him to be an itinerant evangelist. Despite skepticism and discouragement from family and friends, he set out from Belfast in September to follow this call. He went to London and gradually began making contacts with Christian leaders as he spoke in various churches. With London as his base, he preached throughout the British isles for the next two years. Then he began to travel farther to preach. In the first part of 1935 he traveled to Norway, Sweden, Denmark, Finland, the Soviet Union, Estonia, Poland, Lithuania, Germany, Switzerland, France, Holland, and Belgium. Then a few weeks later, after a return to London, he traveled through Hungary, Turkey, Greece, Palestine, Italy, Spain, France, and Portugal. In September of the same year he sailed for Canada. He began preaching when he arrived in Newfoundland and continued in Ontario at the Peoples Church in Toronto and then in Winnipeg. He went on to Saskatoon and British Columbia. Then he began an evangelistic tour of the United States that involved visiting all forty eight states in the next three months, including preaching at Moody Church at the invitation of H. A. Ironside. In February of 1936, he held meetings at Wheaton College in Illinois. He continued his whirlwind progress in 1936 by going to New Zealand and Australia and then on to South Africa and Rhodesia. In October, he returned to London and planned take a rest. He traveled with Stanley Donnan and Evan John to Norway. After speaking in Oslo, he left his friends and went north to Narvik, seeking quiet. But Christian leaders in that city asked Orr to lead meetings there as well. Eventually he did manage to get some time to himself and decided to ask Ivy Muriel Carol Carlson, a young woman he had met very briefly in South Africa, to marry him. He telegraphed her and set out for South Africa. After a quick courtship, they were married on January 15, 1937. At his wedding reception, Orr gave an evangelistic invitation and counseled inquirers. The couple then returned to London, where Orr spoke at meetings commemorating the centennial of evangelist Dwight L. Moody’s meetings in that city. The couple eventually had four children: Eileen Muriel, who lived three months and died in 1938; Carolyn Astrid born in Toronto in 1939 (later Mrs. Larry D. Booth); Alan Bertran born in Chicago in 1942; and David Arundel born in Oxford in 1946. Besides his travels, Orr had been busy turning out autobiographical volumes relating his experiences around the world and describing the Christian life. Among some of these early titles were Can God-? (1934), This Promise Is to You (1935), Times of Refreshing (1936), Prove Me Now (1936), This is the Victory (1936), All Your Need (1936), If Ye Abide (1936), Such Things Happen (1937), and The Church Must First Repent (1937). He also edited some books by Andrew Gih in the late 1930’s. 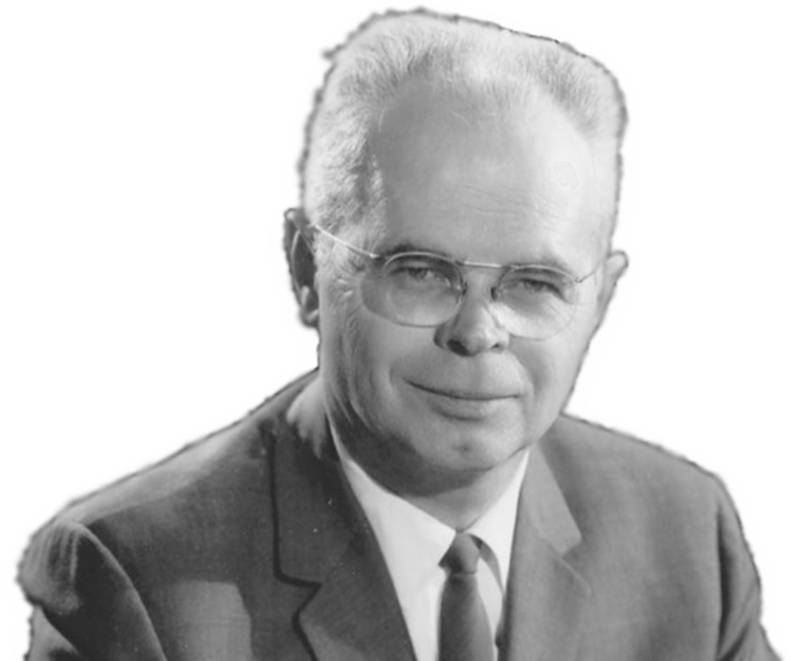 In 1938 Orr formed the Revival Fellowship Team of young preachers such as Stanley Donnan, Brinley Evans, and Andrew Gih and led them in a series of mass evangelistic campaigns in Ulster and Australia. Then he and Gih made an evangelistic tour of the portions of China not occupied by the Japanese. They also made a film of the tour. Most of 1939 was spent raising funds for war relief for Chinese orphans. He continued to write, publishing Telling Australia and Through Blood and Fire in China, both in 1939. In late 1939 Orr and his wife traveled to Canada, where he served briefly as associate pastor of the Peoples Church. He decided that he needed further education and began studying at Northwestern University in Chicago. On January 15, 1940, he was ordained in the Emmanuel Baptist Church in Newark, New Jersey. He continued to preach and write, making a tour of the West Indies and Central America in 1940 and publishing Always Abounding. He got his M.A. from Northwestern in 1942, the same year his mother died in Ulster. Toward the end of the year, he enlisted in United States armed forces and went to attend chaplain’s school on the campus of Harvard University. The following year, he got his Th.D. from Northern Baptist Seminary in Chicago and began his service as an air force chaplain. He saw extensive service during the war, serving with the 13th Air Force in Bismark Archipelago, New Guinea, and being involved in campaigns in Borneo, the south Philippines, Luzon, and China. He earned seven battle stars and finished with the rank of major. He wrote about his military experience in I Saw No Tears (1948). When he was discharged in 1946, he hitchhiked across Korea, China, and India to Cairo and then to Durban, South Africa, where he rested two months with his family. He then sent his family to England by troopship and traveled through the Congo to West Africa. From Dakar he crossed the Sahara and traveled on to England. He picked up his education again and was at Oxford from 1946 to 1948, doing resident study for his doctorate, which he received in the latter year. His dissertation was published in 1949 under the title The Second Evangelical Awakening in Britain. The year 1952 saw the publication of The Second Great Awakening in America. Later he received a D.D. in African History from the University of South Africa (1969), a Th.D. from Serampore University (1970), and a Ed.D. from Th.D. from the University of California, Los Angeles (1971). In 1949 he established a permanent residence in southern California and began a series of speaking tours and evangelistic meetings on college and university campuses. First he preached across the United States and then, from 1949-1951, in Australia, Great Britain, Canada, New Zealand, and South Africa. He made a brief visit to Brazil in 1951. The response caused him to be invited back for a full scale campaign in cities throughout the country. There followed meetings in South Africa (1953) and India (1954). He and Mrs. Orr led a team evangelistic effort in Australia and New Zealand from 1956 to 1957. Other members of the team included Mr. and Mrs. Robert B. Doing, Mr. and Mrs. Max H. Bushby, Rev. and Mrs. William Dunlap, and Corrie ten Boom. The following year, Orr again held meetings in India. Other countries where major meetings were held in the next few years included Great Britain in 1961, where he spoke with young theological students about spiritual renewal; Norway, Sweden and Denmark in 1962; university meetings in the United States in 1962 and 1963. In 1966, Orr became a professor at Fuller Seminary’s School of World Mission, a position he held until 1981. Besides his teaching and writing, he greatly stimulated the study and understanding of revivals and evangelism through his founding in 1974 and continuing leadership of the Oxford Reading and Research Conference on Evangelical Awakenings. This conference of scholars met every summer to hear and present papers on revivals. His own writing continued unabated. Besides his writing, teaching, and preaching, Dr. Orr had great impact on evangelicals around the world through his friendship with other leading Christians. He was an advisor of Billy Graham’s from the start of that evangelist’s career, a friend of Abraham Vereide and helped shape the prayer breakfast movement that grew out of Vereide’s International Christian Leadership, and he was a important leader in Andrew Gih’s Evangelize China Fellowship. Dr. Orr suffered from heart trouble in his later years, and died the morning after presenting a lecture at a conference in 1987.